Red Bull Racing have released a video revealing their new car - the RB13. The team from Tilbrook finished second in the standings last year, and hope their new challenger will be able to take them back to the top of the sport. 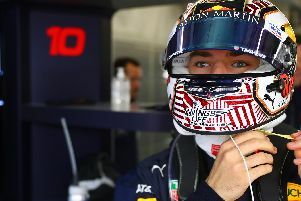 Daniel Ricciardo and Max Verstappen will once again be behind the wheel. Monday is first day of pre-season testing, and it takes place in Barcelona, Spain.